"Offers Bachelor, 1-BDR, 2-BDR, & 3-BDR suites steps from public transit and major highways." This freshly painted bachelor suite has re-finished floors and upgraded light fixtures. Large, bright and clean, this suite is move in ready. Bombay Court, located at 2110 Keele Street between Eglinton & Lawrence, is just steps away from the TTC, shopping and schools. Hwy 401 is only minutes away for your driving convenience. You'll love the new laundry smart card system in place. Call us today at 416-245-9136 to book your showing! 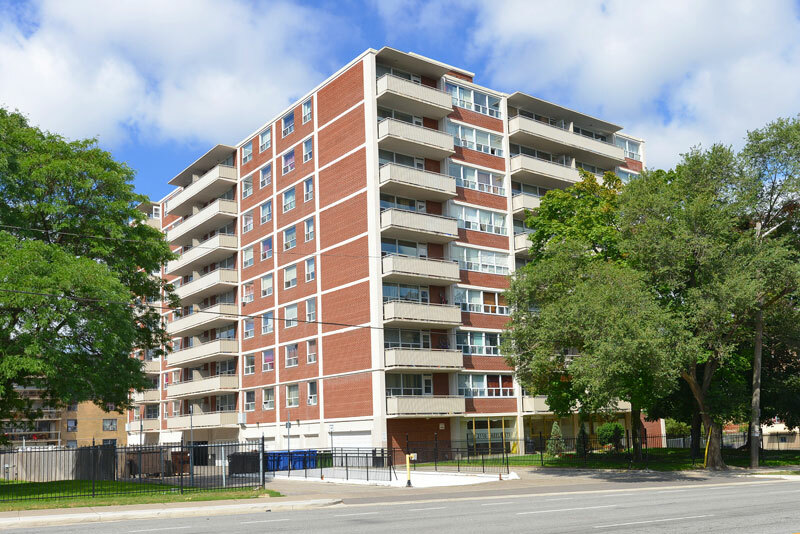 2110 Keele Street, located between Eglinton & Lawrence, offers spacious Bachelor, 1-Bedroom, 2-Bedroom, and 3-Bedroom suites as well as underground, surface, and garage parking. The building is steps from North Park Plaza, which offers a large grocery store, Walmart, pharmacy, banks, and great shopping. The building is uniquely situated minutes from Hwy 401 and Hwy 400, as well as the brand new Humber River Hospital. In addition, there are several public transportation options as well, including frequent busses along Keele and Lawrence which provide access to Lawrence West subway. Large, bright and clean - our suites are ready for your arrival! Call us today at 416-245-9136 to book your showing. Visit us at www.wellgroundedrealestate.com for more information.